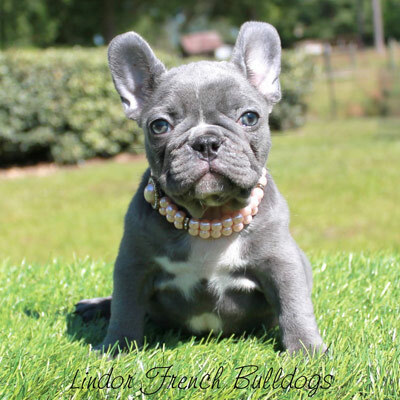 Lovely lilac French Bulldogs feature a distinct coloring and vibrant eyes. These rare beauties are created with a combination of chocolate and blue DNA from both parents. 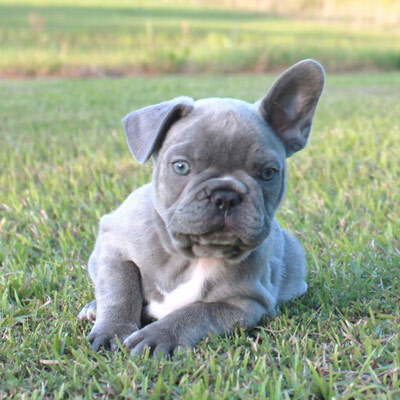 The coat coloring can range from a cool blue hue to sleek silver, and some Lilac Frenchies display white markings on their chest and face. You will fall in love with their signature light-colored eyes—a trait that stays through adulthood. 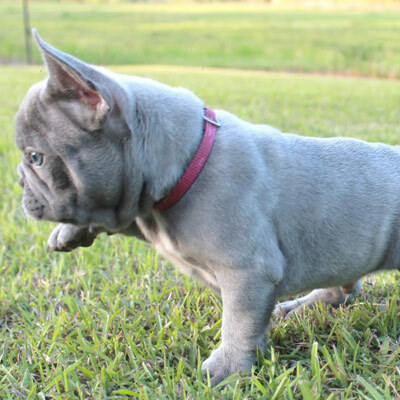 Purchase your purebred lilac French Bulldog puppy today!